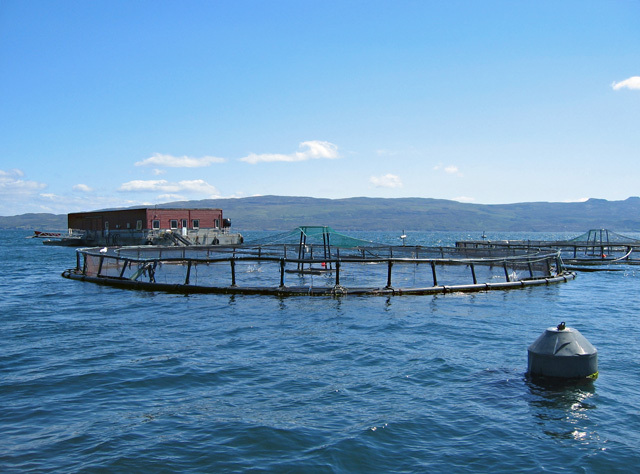 The Scottish salmon farming industry has been receiving some heavy criticism as of late, largely due to the steep rise in the use of toxic chemicals. These chemicals are added to the water in order to fight parasitic sea lice, which have become a major problem for salmon farmers as they kill millions of farmed fish each year. Unfortunately, the chemicals appear to be doing harm beyond their intended target, as studies have linked many of the compounds used to issues including reduced fertility in salmon and increased mortality rates in shellfish such as lobsters. When news broke that the use of these same chemicals has increased by a staggering 932% in the last decade (from 45kg of chemicals used in 2006 up to 467kg in 2016), even though the industry itself has only seen growth of 35%, it provoked outrage from the industry’s critics over the environmental impact of such methods. Adding further fuel to the fire, it turns out that there are still concerns over whether these chemicals are even helping to control the sea lice problem. One pesticide in particular that has been regularly used by the industry in the past decade, known as cypermethrin, was altogether abandoned in 2012 when the sea lice developed a resistance to the compound, rendering it useless. It seems that every week a chemical previously considered safe is suddenly highlighted as a significant danger, so critics are highly concerned about the impact of the approximately 8,500 separate chemical treatments applied to salmon farms since 2002, amounting to nearly four tonnes of chemicals. Further research is needed before the claims of either side can be properly proven, so for now this matter largely comes down to your own choice on whether to seek out your salmon from other sources, but keep an eye out for updates here at FSC.